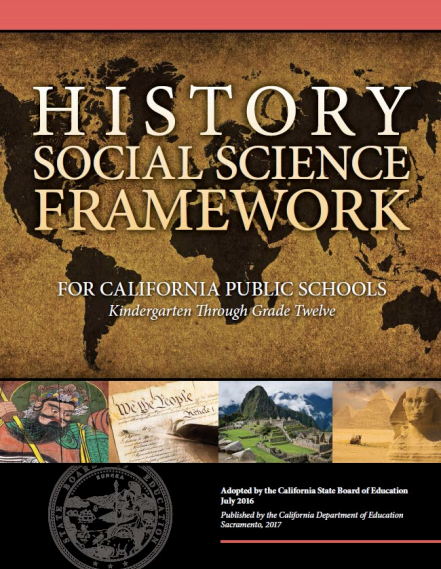 FREMONT, CALIFORNIA, February 2, 2019 (press release by capeem.org): Judge Charles Breyer has unsealed emails showing Department of Education officials soliciting and coordinating professors' anti-Hindu reports on 2016 drafts of the California-History Social Science Framework that were falsely presented as "public comment." [Go to https://www.cde.ca.gov/ci/hs/cf/documents/hssframeworkwhole.pdf for the final version of the Framework]. Tom Adams, the Deputy Superintendent at the California Department of Education, who has a history of working behind the scenes with professors who create anti-Hindu curriculum content, secretly contacted a group of professors with whom he had worked in the past. One of the professors, Jonathan Kenoyer of the University of Wisconsin, had co-authored a textbook the Curriculum Commission had rejected in 2005 for mocking Hinduism. Adams had then organized a group of professors who had not read this book to protest its rejection and used their protests to manipulate the State Board of Education into overruling the Commission's decision to reject the textbook. The scheme by Adams to avoid the process for retaining experts as contemplated by California Department of Education regulation and secretly recruit professors who could be relied upon to provide content derogatory of Hinduism during the Framework adoption process in 2016 was revealed through a subpoena on Kenoyer in the case of California Parents for the Equalization of Educational Materials (CAPEEM) v. Torlakson, No. 3:17-cv-00635, pending in the U.S. District Court for the Northern District of California. The emails among the professors show they understood they were to use "smoke and mirrors" to address the input of Hindu groups and one of the professors recognized that "readers of our report can imagine that [the report] is meant to undermine the legitimacy of Hinduism as a religion (and Hinduism uniquely among religions, at that)." One comment that shows the hostility of the professors accuses Hindus of appropriating the Vedas, Upanishads and the Gita and calling it the foundation of Hinduism. The emails had been filed under seal until Thursday, when Judge Breyer agreed with the plaintiffs and ruled that neither the Regents of the University of California nor Professor Kenoyer had shown "compelling reasons" to keep the records under seal. "This is an important ruling that rejects the notion that government officials and professors can hide behind the label 'academic freedom' and allows all Californians to better understand how their government develops the public school curriculum," noted Arvind Kumar, a board member of the Fremont-based CAPEEM. "Unfortunately, the emails reveal secrecy and doublespeak," he added. The court made clear that unsealed records may well be relevant to the claims brought by CAPEEM and Bay Area parents that the Framework is derogatory to Hinduism, since they argue that state officials coordinated with the professors to provide reports on the curriculum was falsely construed as public comment. "We knew that the content of the Framework treats Hinduism differently from other faiths but the emails show the bad faith by the officials who created that content," said Glenn Katon, an Oakland civil rights lawyer representing CAPEEM and the parents. "This is another strong indication of the State's violation of the Establishment Clause of the U.S. Constitution." The Court has yet to rule on motions filed by both sides arguing they are entitled to judgment as a matter of law. The order and unsealed documents and can be downloaded at https://capeem.us14.list-manage.com/tr ... d=3ae581907a&e=6e315cbb3d. For media inquiries, contact media@capeem.org.